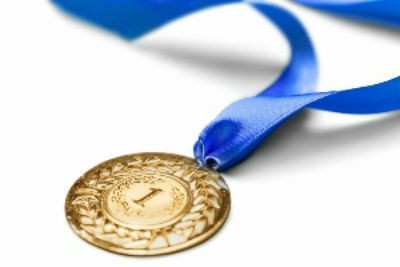 Home / Health Articles / Fitness / Getting the Winning Edge! In our ultra-competitive world of college prep, job insecurity, sales targets, promotions, placement tests, parenting, sport performance, etc., seeking an edge to succeed under pressure is desired by many. Professional and Olympic athletes are always striving for the edge to win. Many would expect elite athletes to utilize the latest science on performance nutrition, exercise physiology and mental training, and they do. But few are aware of how these top performing athletes use the power of a balanced spine and nervous system to their advantage. The 2015 British Open golf champion, Zach Johnson along with 2015 Masters Tournament and U.S. Open winner Jordan Spieth, credit chiropractic care with giving them the winning edge. Other well-known champion athletes including Super Bowl champion quarterbacks Tom Brady and Aaron Rogers as well as 6-time Olympic Gold Medalist Usain Bolt “The fastest man in the world”, all give credit to chiropractic care for helping them get and stay in winning form. In high level sports, the winning edge goes way beyond genetics, which is exciting news for those of us who may not have won the genetic lottery. The science of Epigenetics recognizes that our DNA is not necessarily our destiny. At most, only 30 percent of our health, longevity and performance is determined by our genetics. More than 70 percent of our destiny is determined by our lifestyle and choices. How we live and take care of our bodies matters more than our genes. If you have chronic pain, sickness or ill health, this will be an impediment to performance which may keep you from enjoying life and achieving your goals. Top performers adapt well to stress. How about you? Your ability to handle stress is also dependent on how well your nervous system is functioning. The role of your nervous system is to run all your cells, organs and tissues while it adapts you to your environment. The healthier your body and mind communicate via your nervous system, the better you are able to adapt and perform under stress. If you want the winning edge, there is no need to reinvent the wheel. Simply adopt the health habits and lifestyle choices of peak performers. Utilizing chiropractic care with your entire family can help give you the winning edge as you live out your ideal 100 Year Lifestyle.